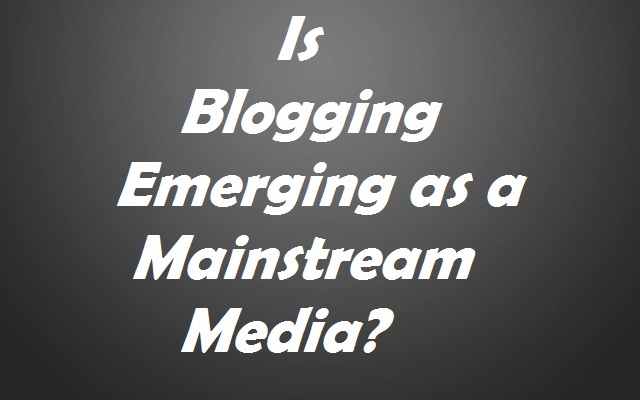 How Blogging Is Emerging As A Mainstream Media for Brands? Advertising and marketing are two important aspects which defines the success of any business in this competitive world. It is highly important for a business to get noticed in order to develop itself as a brand. With the internet evolution at its peak , blogging is emerging as the best platform and great choice for many brands to advertise and market their products for free. Right from introduction of print media, companies have smartly utilized the power of advertising to market their products to the farthest corners of the world creating a trustful brand along the way. It was the dawn of a whole new Advertising industry. Businesses even today rely on this advertising industry to stand tall among the tough competition. Advertising industry often focused on the major mainstream media such as Print, Radio, and TV to promote bands. However, as the internet media experienced a huge growth in the past couple of decades, these traditional advertising media have got some tough competition from the social media on the web with blogging playing a huge role in it. Lately, irrespective of its success in delivering great results for brands, Blogging is often criticized by trade pundits claiming it to be a mediocre platform having a very short lifeline. Nobody could predict the future but such claims are pure signs that Blogging is surely giving some tough competition to the mainstream media. Why Blogging is the No.1 Choice for Promotion Today? Blogging was introduced on the web in the late 90s and was mere a platform or website where the blog owner posted daily, weekly or monthly entries about their day-to-day lives. During its initial days, a blog was considered as a personal journal as the modern blog was evolved from the concept of online diary in the 90s. 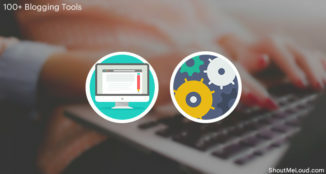 Blogging gained its popularity as its usage spread during 1999 after the arrival of first hosted blog tools like Open Diary (1st blogging tool), LiveJournal, Pitas.com followed by DairyLand and Blogger.com (which was later acquired by Google). Although the blogs during its evolution showed some huge impact over the political circuit, Blogging gained its mainstream popularity when many political consultants, news services, and candidates began using the platform for outreach and opinion forming. Slowly and steadily, the blogging industry picked up pace into the mainstream media and became a great tool for politicians and political candidates to generate opinions on different matters of the state or the world. The influence of blogging was not restricted within the political arena alone. Blogging being an internet media was the ultimate choice for all the internet businesses and eCommerce stores on the web. Eventually, the blogging platform became a hub for many internet based businesses to market and promote their products meanwhile bloggers made good money out of it. With such a huge impact and influence on the society, Blogging has emerged out as a full-fledged career for many individuals all around the world. Blogging provides a transparent advertising model. With services like Affiliate Marketing, the merchants or companies are required to pay the bloggers only when they register a sale for them. Unlike other advertising media whether print, radio or TV where you must pay for the services without any guarantee of a sale, Blogging seems to be a wiser choice today. Investing money in advertisements on blog gives a better return on investment compared to other traditional media. Also, advertisement costs are cheaper on blogs. Unlike the traditional media, blogs have different modes of advertising channels to choose from. The most popular advertising channels on a blog are Affiliate Ads, CPC Ads, Sponsored Post or Reviews, Content Ads, etc. Each of these advertising channels deliver excellent results and offer better return on investments. Although, only internet based businesses and few tech companies are utilizing the power of Blogging media as of today, there’s a huge growth and the impact of bloggers is emerging all over the web across all industries as the internet is reaching the farthest corners of the world. Many individuals in the age-group of 14-40 years are spending most of their time on the internet either for their job, studies or entertainment purposes. With the popularity of Facebook, Twitter, Google+ and other social media, the outreach of the blogging industry and its influence is rising every single minute. The young generation is relying upon the internet for latest news and updates. With the emergence of Smartphones and other smart gadgets, the youth is getting closer and closer to the internet media while moving away from other traditional media. Hence, it is easier to target the youth segment utilizing the blogging media smartly and the most effective manner. 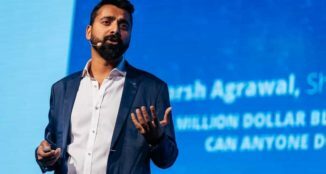 Today, there are many influential blogs such as Mashable.com, TechCrunch.com, TheVerge.com, TheNextWeb.com and lot others that focuses on the technology aspect of the world. All these blogs are best known for their coverage on the rising startup culture globally. It’s a popular belief that the success of a StartUp is not achieved if the company is not featured in any of these blogs. Also getting your StartUp business featured on one of these blogs can guarantee instant popularity as a top quality brand. 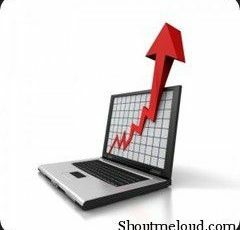 Lately, in emerging countries like India too, blogs are being noticed by the eCommerce giants such as FlipKart.com and Amazon India which are registering huge sales everyday getting high amount of referrals from different blogs all over the country. One example of such success was experienced by Xiaomi Smartphones which was exclusively sold on FlipKart. The Chinese Smartphone manufacturer company registered huge sales without any advertisement on print media, TV or other tradition media channels but solely relying on the internet bloggers. Such a huge success has positioned Xiaomi as the third largest smartphone maker in the world. This is just one success story. The internet has a huge list of such success stories where blogging industry has played a crucial defining role for the company’s success. Earlier, bloggers were only approached by internet based business featuring online products such as Web Hosting, Domains, Software, Web Applications, Mobile Applications, and Games etc. However, with the StartUp culture boom and growth in the internet population, the blogging industry is giving a tough competition to the traditional media and emerging as a mainstream media for upcoming brands offline as well. I would love to get an opinion from your experience on blogging emerging as a mainstream media. Do you think that blogging is already there or it’s on it’s way to be the one? This is a guest post by Rajeesh from PickDigest. If you would like to contribute an original article at ShoutMeLoud, check out community submission guidelines. 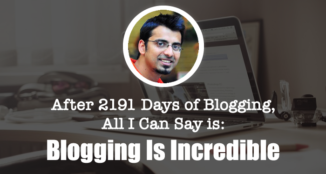 Rajeesh Nair is a freelance content writer and a part-time blogger. He is an avid reader and believes in expressing his opinions through writing. At PickDigest, he shares his views on the modern lifestyle trends.